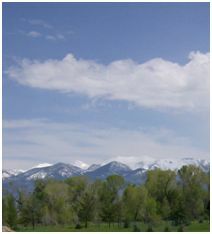 The Montana Department of Environmental Quality (MDEQ) has the primary responsibility for air quality in Montana. The Gallatin City-County Health Department’s Environmental Health Services also offers informational and educational support to the community on some air quality issues. The general public is encouraged to use this as a resource for air quality issues in our community. Check TODAY’S AIR for current updates! Check the outdoor activity guidelines here.